THANK YOU FOR SUPPORTING OUR QSP MAGAZINE FUNDRAISER! Fundraiser was another huge success, with sales of over $3500. Remember, now that our main campaign is over, you can still support our school all year long, by purchasing all your NEW, RENEWAL and GIFT subscriptions online at www.QSP.ca. Each subscription that you purchase continues to bring profit to our school. So if you have any additional magazines expiring soon, or just forgot to order during our main campaign, you may still do so! You can also send emails to your friends, colleagues and family members across Canada, or put a link on your Facebook page, inviting them to shop online and support our school. Simply go to www.QSP.ca, click JUST SHOPPING, and use Our Group # 3693116. Remember: Due to the length of the fundraiser, publisher’s schedules, and magazine frequency, your magazines may take 12 to 16 weeks to arrive as stated on the back of your pink receipt copy. QSP Inc. customer service toll free at 1-800-667-2536. 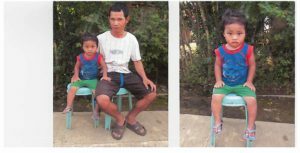 Meet Kurt Julio our 2018-2019 Foster Child from Philippines. Kurt is a health 2 year old with no serious health issues. The family uses a pit latrine which is considered an improved toilet facility. Please check back for updates through out the year, we’ll update as soon as we receive new/more information.